Is the Buddhist spiritual leader a white supremacist, an inveterate racist or even a closet Nazi? Only a very misinformed person would suggest such a thing. So how do we explain his recent remark that the millions of refugees who have been allowed to enter Europe should ultimately return to their homelands to “rebuild their own country"? Is that really such a vile and hateful suggestion? "Receive them, help them, educate them... but ultimately they should develop their own country," advised the 83-year-old Tibetan, who understands firsthand what it means to be an (legitimate) asylum seeker. "I think Europe belongs to the Europeans," he continued, adding that refugees should understand that "they ultimately should rebuild their own country". Predictably, the comment struck fell like a lightning bolt not only in the globalist camp, obsessed as it is with bringing Europe to its knees, but throughout Sweden, which just witnessed the anti-immigrant Sweden Democrats party take third place in the general election with 18 percent of the vote, an increase of nearly 5 points since the 2014 election. Third place may not sound great, until it is realized that it was the first time that Sweden’s ruling Social Democratic Party failed to win an absolute majority since its founding 129 years ago. 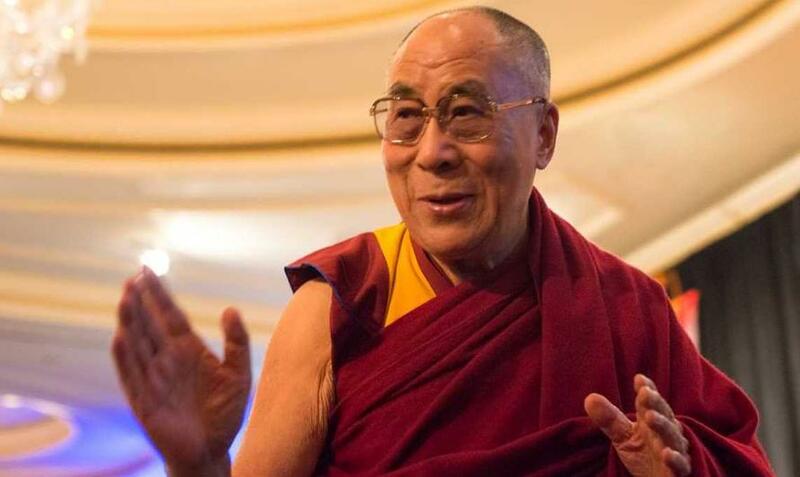 The comments by the Dalai Lama came across as a bracing slap in the face, a courageous wake-up call, and not least of all because the event took place in Sweden’s third-largest city of Malmo, where soaring crime rates among foreign-born nationals have made some neighborhoods no-go zones, where not even police and firefighters dare tread. The reason the Dalai Lama is permitted to utter such unspeakable things goes beyond his spiritual authority; he himself is a refugee living in exile who dreams of returning someday to his native homeland of Tibet. It is that hope of return that informs his attitude to the ongoing migrant crisis, which is now dividing Europe along many cultural, social and political lines. I am tempted to believe the Dalai Lama was invited to Sweden specifically to utter the things so many Swedes find it impossible to articulate; a sort of sadomasochistic exercise in humility and humiliation before the wise, plainspoken spiritual leader. After all, it is no secret that the Tibetan Buddhist leader has made such controversial remarks before. Now just imagine the feigned fury had Steve Bannon, Donald Trump’s former Chief Strategist, for example, uttered something similar. Actually, there is no need to imagine because it just happened this week as Bannon defended Matteo Salvini, Italy’s deputy prime minister, and Viktor Orban, Hungary’s prime minister, for attempting to protect the “sovereignty of their country”. The Dalai Lama added that "from a moral point of view too, I think that the refugees should only be admitted temporarily". However, for anybody who has studied the history of the mass movement of peoples, repatriation rarely if ever happens. Once a group of people have entered the borders of a sovereign state and set down roots - especially in the case of the European Union with its preponderance of bureaucratic red tape - it is excessively difficult to ‘send them back’ to where they originated. It is no exaggeration to say that the Swedish people may become in some not-so-distant future the minority, forced to accept whatever charity their conquerors will bestow upon them. The one individual who seems to have the best grasp of the situation is Hungarian Prime Minister Orban, who just suffered a defeat in the European Parliament as MEPs voted to launch sanctions against his country. Viktor Orban’s unspeakable crime: daring to take physical measures to prevent an invasion of illegal aliens from entering Hungary – like constructing a barbed-wire fence that runs the length of the border with Slovenia, Croatia and Serbia. Orban is the leading voice among the so-called Visegrad countries, made up of Poland, Hungary, the Czech Republic and Slovakia. These nations played no role in conquering Middle Eastern sovereign states, which instigated the mass exodus of people in the first place. Why must Budapest sacrifice its social order and security, much like Germany, France and the UK have already done, which is evident by the terrorist attacks that have rocked these places on a number of occasions? Furthermore, the only “moral responsibility” that true, unscrupulous leaders like Viktor Orban have in mind is the safeguarding of their nation and people. The feeling of moral responsibility should have come much earlier in the form of speaking out against illegitimate Middle Eastern wars that are responsible for producing these refugees in the first place. Where is the voice of the Netherlands, for example, the home of NATO, to make sure these barbaric acts of aggression did not happen in the first place? It is on the question of military aggression, conducted by NATO states, where the question of “moral responsibility” must first be heard, not after the fact by countries suddenly expected to absorb the flood. Europe is experiencing a grave moral deficit from its major powers because they refused to speak out against America’s imperial ambitions in the first place. Now, unless more people begin to heed the wise words of individuals like the Dalai Lama and, yes, Steve Bannon, the entire European project will collapse and Western civilization as we know it will have changed to the point of irrelevancy.